Man, listen, I thought I was cool until this child was born. She has that natural "thing", I don't know what to call it but she has it! This girl is cool. I love it. Her confidence and creativity give me life, low key, sometimes I wear what she tells me to. I know I'm a little embarrassed but even more liberated. I enjoy hearing her opinions on style and allowing her to explore her ideas. The blessing is in her being her. I am all about a matchy matchy moment... but this girl has far too much fire for me to steal her shine. I like some complimentary looks as opposed to an exact replica. My girl has a bold voice and I want her to use it, in every facet of life. 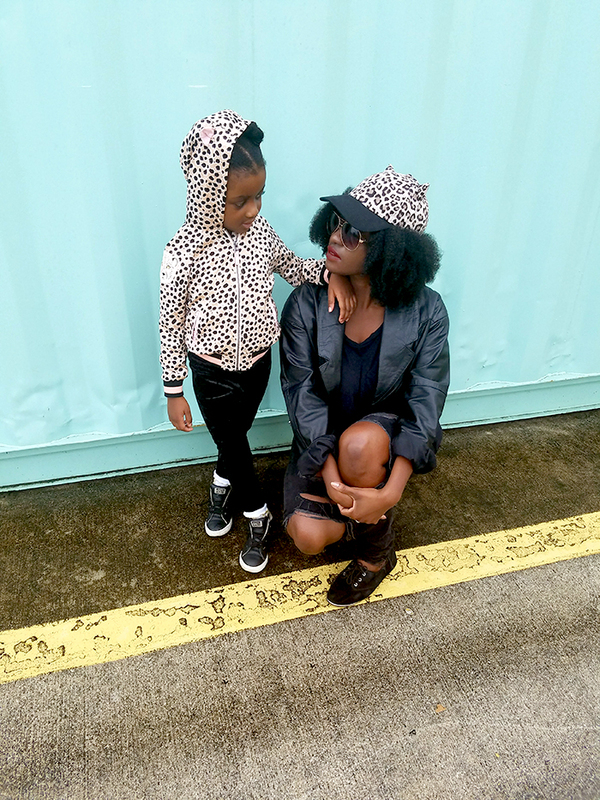 Our mother-daughter style is all about me giving this girl room and moving out of her way. This may look like a head-to-toe match on occasion but more than common I allow her to shine on her own. Here the goal was fun animal print. A hint on me and more on her. I love to teach her fashion rules with full intent one day she will break them all and make her own. This is the fun of it all. My objective is to teach her everything I know. From there and from now I plan to embrace her ideas as well. Mother-daughter fashion is so much fun, my objective is not to make a replica of myself but an empowered young lady in her own right. Having fun along our way.